We don’t work at SEEROO, we just express ourselves. It’s all creative and ingenious out here. Within this serene and fun-filled atmosphere, you are always inspired and motivated to achieve your creative best. It’s nothing less than a second home for us all. We are all being part of a big, fun-loving family, where achievement is always met with accolades. We live here, we make fun, we laugh, we go out, we play, we celebrate but the work is always done. 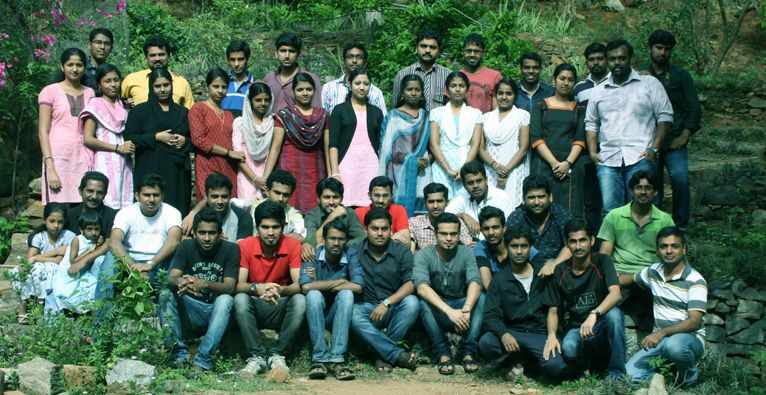 Seeroo is a way of life for us all; our work culture is our legacy. We made a day out program in Kalathil Lake Resort, a luxury backwater resort on the banks of Vembanad lake, north of Kumarakom. Cycling, canoe boating, swimming and tasty traditional Kerala Dishes were good enough to provide relaxation as well as soothing experience to all of us. 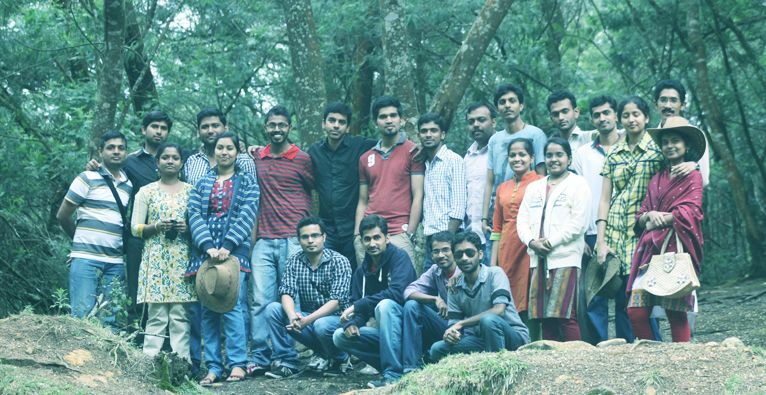 Last time our Seeroo family made an amazing trip to evergreen Kodaikanal, princess of hill stations. Kodai with its marvelous architecture, mindblowing climate, lush greeneries, magical meadows, and hilly passes illustrates the scenic beauty of nature that gifts priceless memories in all time. We believe the full potential of a being come out only in a light-hearted and friendly atmosphere. It is to this effect that we are relentless in including ‘extra-curricular’ activities periodically.This January it was the annual sports day, celebrated with Seeroo Day, the day Seeroo was ‘born’. As there is nothing better in raising the spirits and cohesion among colleagues than a fun filled and adrenalin boosted sports day, it is also celebrated as the sports day. There is no competition without teams and our lovely family was split in to four groups to fight each other, to bring about the childish enthusiasm of challenges and boastings. The games included football, cricket, badminton, ball relay and tug of war. Technical proficiency in the actual sports was never a parameter, all the items were actively participated with the participants enjoying a whole lot of fun and excitement. Employees enjoyed the lighter moments with jokes and friendly comments. Encouraging team mates and playfully abusing opponents we all shared a great time. It was all so fulfilling, an experience that we are sure that it have strongly boosted the employee morale and cooperation. Our trip to Silent Valley National park was a lifetime experience, as this is the rear characteristic virgin zone of tropical evergreen forests in India. It is one of the most ecologically diverse areas on the planet with some flora and fauna which are found nowhere else in the world. Our team got an opportunity to see over 34 species of mammals amongst which are the rare lion-tailed macaque, Nilgiri langur, Malabar giant squirrel and hairy-winged bat. The ambience of Silent Valley appears attractive, vivid and striking due to the various species of birds. We found an incredible range of birds, vibrant and chirpy at the same time, amidst their natural habitat. One night stay and camp fire in an estate will be a never forgettable experience for the participating team. Onam is the festival of flowers and colors. This festival brings harmony and happiness to everyone, irrespective of caste, creed or religion. On the day of celebration, everyone arrived early at the office in traditional costume – men in shirt and dhothi and ladies in kasavu saree. As it is Onam, the key attraction had to be Onappookalam, intricately made flower carpet along with lit up traditional lamp. This was prepared by dedicated members of the team. The Onam programs started with the Thiruvathirakali of Girls. Funny games were conducted and prizes were distributed. The spirit of Onam was so evident in everyone. The program ended with a grand lunch served by the team themselves. If you are an admirer of nature, Kulukkumalai is one of the paradises you are looking for. No need to think twice to include it among the attractive spots of the planet. For some kilo meters there were no road. The ride along the bumpy rocks is a delicacy. The travel is along some of the most picturesque spots ever to see. Up on reaching the top, the experience is so awesome that the shaky ride is a memory. It was all fun having this trip with the team and their family members. The heat and monotony of Cochin have set in and daily life was wearing us off, a break was so imminent. Where else to take a cool and refreshing summer break rather than the evergreen hills of Munnar. An early morning travel ensured that we reached irupathecre late in the morning. We were welcomed with the sweet fragrance of Cardamom, for which it is famous for. Our jeep was waiting there which took us on a 2 hour adventure safari to kullukkumalai, which is the country’s highest tea growing area. The zig-zag nature stone paths were totally new experience for us all. The Suicide point and panoramic view from the hilltop is something that will stay in memories forever. And a visit to kullukkumalai is incomplete without a visit to the 70 year old tea factory is still functional with its old traditional tea techniques. After the awesome journey, we visited the Muniyara. Muniyara has remnants of dolmens, which burial chambers are made of four stones placed on edges and covered by a fifth one called the cap stone, belonging to the Megalithic age. The area is a part of Marayoor and is famous for natural sandalwood forest and prehistoric paintings. It was a much needed detour from the daily chores of life and like the aroma of tea leaves which excites the senses, we left for Cochin with excited minds. Our team had trip to one of the most alluring hill stations with fascinating beauty in India. 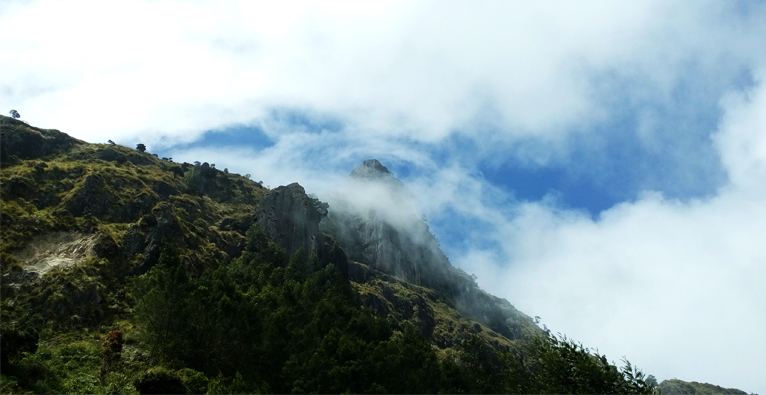 Cycling, boating, trekking and horse riding added glee to the enjoyment of the Kodai. Star shaped artificial lake Berijam was the most stunning spot of Kodaikanal. Walking around the lake with all the members was one of the best experiences in life. The team also enjoyed the Bear Shola Falls most winsome waterfalls located in the Reserve Forest. The Green Valley View bestowed a magnificent panoramic view of the hills, valley, plains and the Vaigai dam. There was a dirty place near our office. People used to dump all their garbage at this place. We decided to take the responsibility of the change that we wanted to see. And one day evening we brought back the aesthetic sense of the place. Doing something to leave the world a better place brings us an emotion of pure satisfaction. Be the change you want to see.